Amazon.com Price: $14.57 (as of 2019-04-22 02:31:55 GMT) Product prices and availability are accurate as of the date/time indicated and are subject to change. Any price and availability information displayed on Amazon.com at the time of purchase will apply to the purchase of this product. The cinematic action-adventure that forced Lara Croft to grow from an inexperienced young woman into a hardened survivor has been re-built for Xbox One and PS4, featuring an obsessively detailed Lara and a stunningly lifelike world. 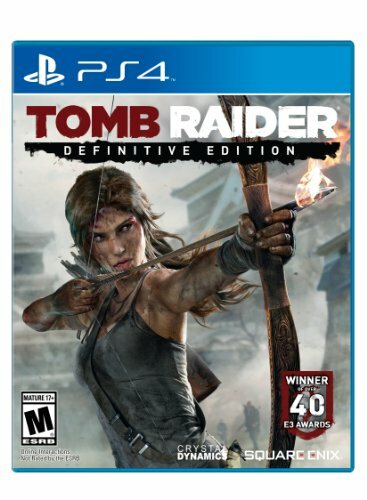 To survive her first adventure and uncover the island’s deadly secret, Lara must endure high-octane combat, customize her weapons and gear, and overcome grueling environments. The Definitive Edition of the critically-acclaimed action-adventure includes digital versions of the Dark Horse comic, Brady games mini-art book and combines all of the DLC.